Organic and locally sourced are a match made in heaven. 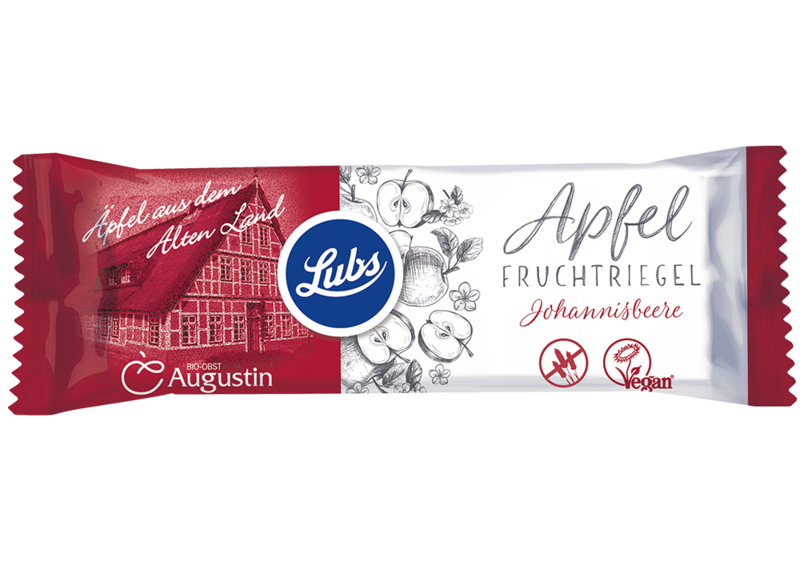 Which is why Lubs is proud of its first fruit bars made from locally sourced ingredients: organic apples from Augustin fruit farm in the Altes Land region, not even 100 km from our production site. Ingredients: apples* (38%), almonds*, dates*, sultanas* (sultanas*, sunflower oil*), buckwheat* (7%), currant juice concentrate* (3%).